Karin is a Canadian media artist and filmmaker. Her critical voice and perspective touches on the past and the present, both local and international. An artist who constantly traverses new territory, Lee challenges film and media forms and addresses new audiences. Born and raised in Vancouver, B.C, Karin’s films are influenced by her upbringing: both her parents were activists who worked in the downtown eastside, with her father running a Chinese communist bookstore at 33 East Hastings from the mid-1960s to '80s. 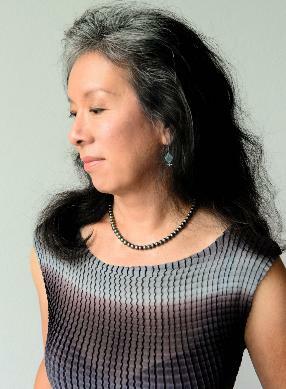 Her interest in Chinese Canadian identity, feminism and social justice activism informs her narrative films, experimental video, documentaries and original TV series she has written, directed and produced since 1991. In 2001, Karin received a Gemini: The Canada Award, from the Academy of Canadian Cinema and Television for her groundbreaking documentary Made in China, about Chinese children adopted in Canada. In 2005 she received a BC Leo Diversity in Cultures Award. Lee's recent solo show at at the SUM Gallery (Canada's first Queer Art Gallery) features My Sweet Peony Remix, Small Pleasures and Portrait of a Chinese Girl. She has just completed the TV pilot for Plan B, a drama series set in a women's sexual health clinic. She is currently in pre-production on Girl with Big Feet (Ts'ekoo Cha Ke), a period drama. She is an Adjunct Professor at the University of British Columbia in the Department of Theatre and Film Production. Karin was recognized by the City of Vancouver and awarded the Mayor's Arts Award for Film and New Media Artist in 2014. Most recently she received a 2017 Spotlight Award for excellence in Education from the Vancouver Women in Film and Video Society.